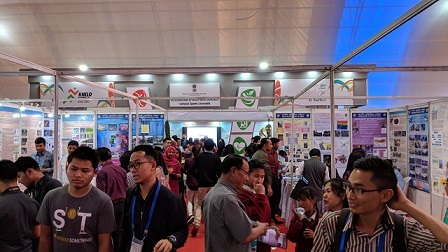 The Pride of India (PoI) Expo organised as part of the Indian Science Congress, which concluded here today, was a major centre of attraction. 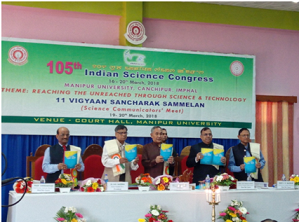 Apart from delegates attending the congress, students and residents of the town thronged it in large numbers to get a glimpse of the achievements of scientific institutions and departments. 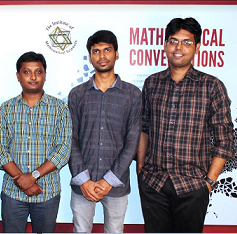 The Department of Science and Technology (DST) won the Best Pavilion Award. 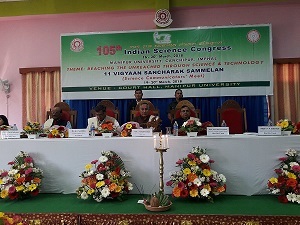 The pavilion showcased the department’s efforts to create and foster India’s strengths in science and technology. It also displayed research and development initiatives realised through its various autonomous institutions. The expo was a hub of new ideas, innovations and products encompassing the entire canvas of scientific world:education, defence, space, life sciences, healthcare, agriculture, food processing, energy, environment, infrastructure, automobiles, ICT. 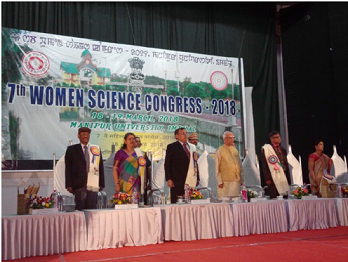 Among the organisations participating in the expo were Indian Space Research Organisation, Department of Atomic Energy, Council of Scientific and Industrial Research, Indian Council of Agricultural Research, DST, Indian Council of Medical Research.
" 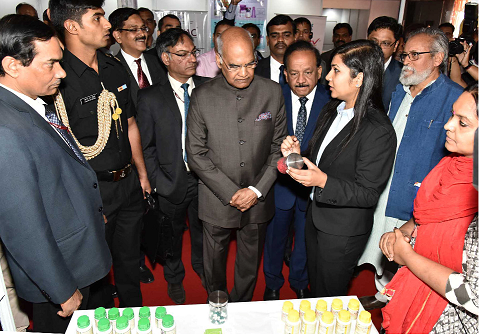 The expo was a hub of new ideas, innovations and products encompassing the entire canvas of scientific world:education, defence, space, life sciences, healthcare, agriculture, food processing, energy, environment, infrastructure, automobiles, ICT. " 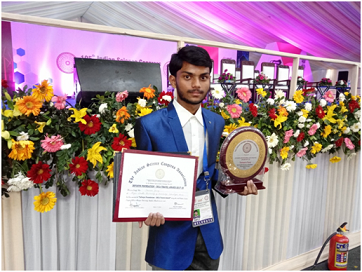 The expo was designed to act as a platform for interactions between scientific fraternity and the academia, on the one hand, and entrepreneurs and students, on the other. It was spread over an area of about 18,000 sq m. About 150 organisations participated in it. 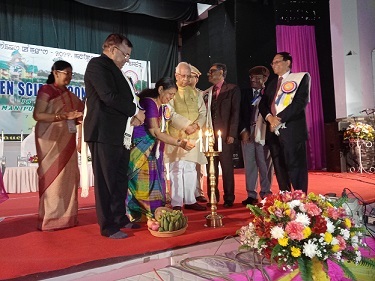 A key attraction of this year’s Expo was“Vigyan Jyot” or Flame of Knowledge to popularize science among youth and motivate them to take up science as their career. 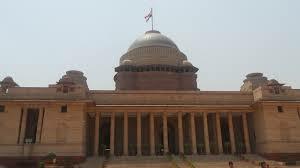 It was flagged off from Raj Bhawan by Manipur Governor, Dr Najma Heptulla on March 14 and was received by Prof Adya Prasad Pandey, Vice Chancellor of Manipur University. Students from schools and colleges also displayed models at the expo. 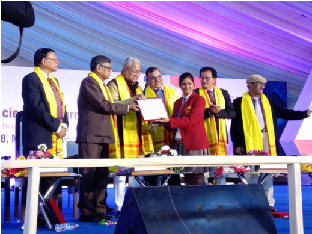 Satyabhama of D.M College of Science, Imphal, showcased an interesting model titled ‘Solar Smart Street’. He explained, “In a solar smart city, solar energy will be absorbed and stored during day time and the same will be used to light streets and for other purposes during night”. Themodel also sought to promote the concept of energy conservation as whenever there was a lull in traffic, street lights also automatically stopped working. Another model on display showed how electricity may be generated using biodegradable waste in villages. Aadiv from Burnhall School, Srinagar demonstrated how wastes like leaves can be decomposed to make biogas and this biogas may be used to generate power.